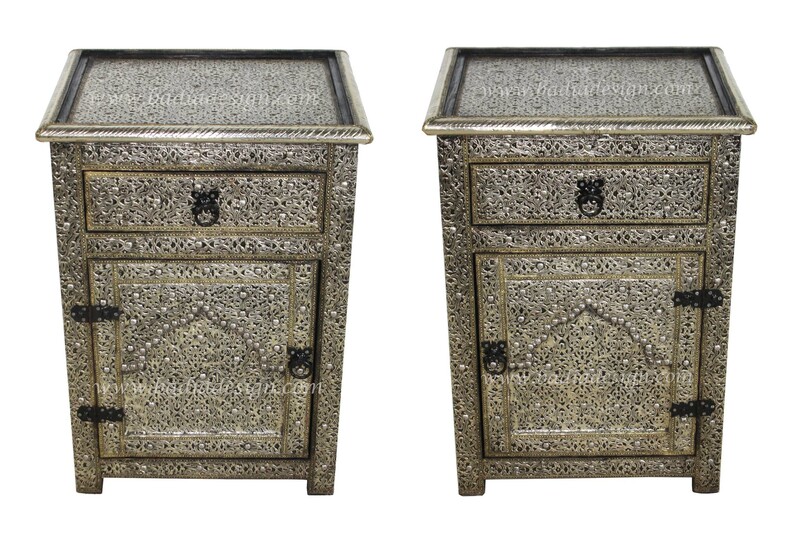 Moroccan Silver Nickel Nightstand with Glass Top from from Badia Design Inc. There are two different designs listed. One opens from the right and the other one opens from the left. Click the button below to add the Silver Nickel Nightstand with Glass Top - NK-CA041 to your wish list.